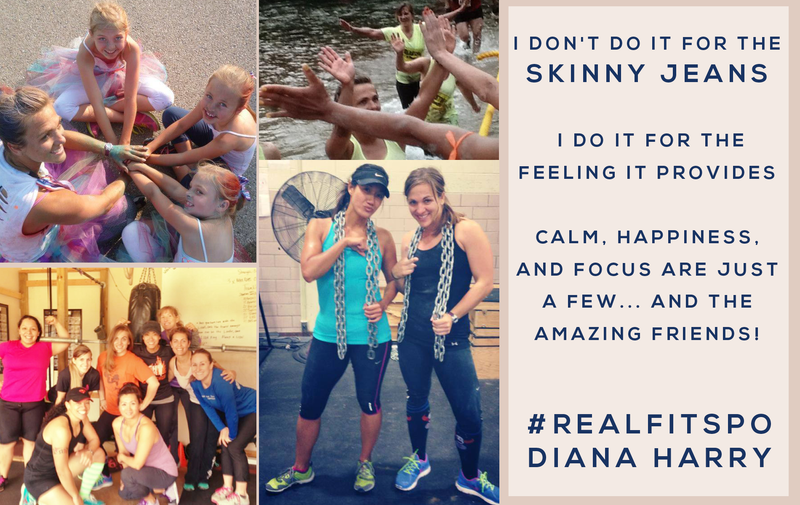 First of all, I am blown away at all the positive encouragement I have received regarding my initial #REALFITSPO post, and I am so excited to show you the second installment of fearless, fit, strong women doing what they do best! 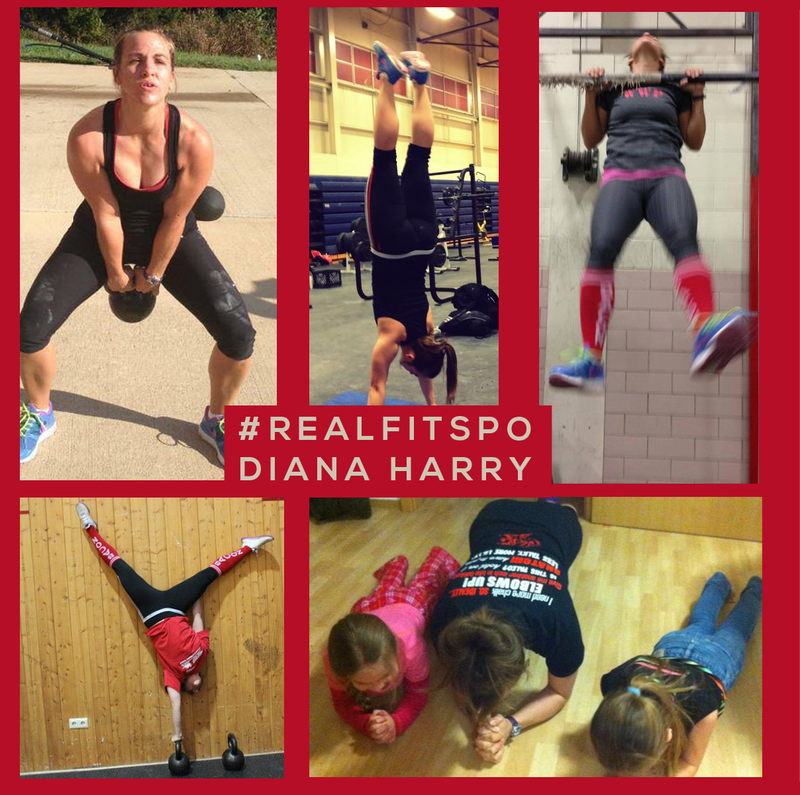 If you’re just now reading about this project, I wanted to create #REALFITSPO to re-invent what “fitspo” even means. These days it’s become synonymous with airbrushed abs and not much else. I want to change that. I want THESE sort of photos to be the ones we see thrown in our faces on the “Health and Fitness” category on Pinterest. I want photos of people actually DOING things to become the new norm on social media- not just idealized photoshoots! Because whether you like it or not, social media has a very direct impact on our self esteem and thought processes. So why not create something positive instead of submitting to an environment of comparison and negativity? So enjoy! Share these, Pin them, Instagram and Tweet them. I want them to spread. And please- make your own! I’ll give you some details so you can submit to my blog directly at the bottom of this post if you want to be featured. THANKS SO MUCH to everyone who submitted their photos! 1.) 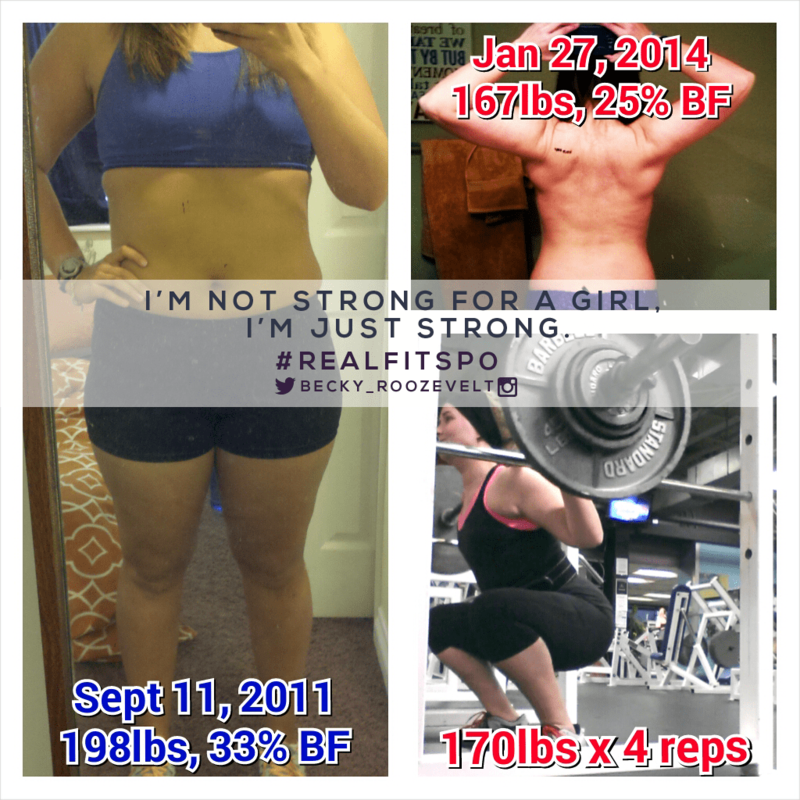 E-mail me (LIFTmeupfitness@gmail.com) a photo of you similar to the ones above. It can be anything that inspires you and that you think would inspire others! FYI: I encourage you to submit even if you don’t feel like you’re at an “After” photo state if that makes sense. One of my most-liked photos of me ever was the one where I’m literally pinching my lower bellyfat and saying “DEAL WITH IT” and just embracing it. Nobody is perfect- we are all on the journey together! And this is what this project is all about. Embrace YOU! If you can’t think of anything, I will find something and add it myself, so no worries! 3.) Include your twitter handle, blog name, any way of identifying you on the web. Or if you just want your name, that’s fine too! Don’t worry about doing any fancy editing, that’s what I will do afterward! All you have to do is send me a picture. This is awesome! I love Megan at Meg Go Run!